The Archibald Prize, first awarded in 1921, is Australia’s favourite art award, and one of its most prestigious. Held annually by the Art Gallery of New South Wales in Sydney and awarded to the best portrait painting, it’s a who’s who of Australian culture – from politicians to celebrities, sporting heroes to artists. This year's catalogue features all of the finalist works, including the 2016 Archibald Prize winner and the winner of the 2016 Packing Room Prize. 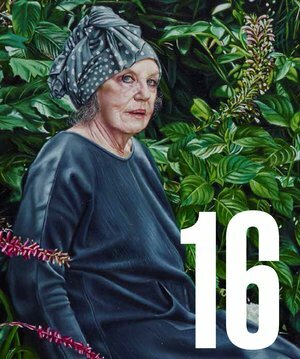 Catalogue cover image is from 2016 finalist 'Wendy Whiteley' by Natasha Bieniek, and is not indicative of Archibald Prize results. Catalogues from many previous years are also still available, from 2010 - 2015. Search 'Archibald' for listing.